MICAT – MICA Admissions Test is the online entrance test for MICA’s flagship course Post Graduate Diploma in Management – Communications (PGDM-C). The programme focuses on Strategic Marketing and Communication. Candidates have to apply to MICA with their scores of CAT / XAT /GMAT (2016 onwards). Candidates will be called for MICAT irrespective of their scores in the above mentioned exam (subject to their application form being complete and accepted by MICA). Bachelor’s degree or equivalent qualification in any discipline recognised by the Association of Indian Universities (AIU). Candidates appearing for final year graduation examinations are also eligible to apply. To apply for the exam, candidates need to fill the registration form and pay the test fees of Rs 1965 online. The registration form can be accessed online on the official website. After successful registration, aspirants will receive an email containing the MICA ID and MICA password. This MICA ID will be used for all future correspondence and login purposes. Admit cards for MICAT will be issued to the candidates who shall have registered successfully and met the eligibility criteria. Selected candidates will be required to download their admit cards from the official website. MICAT will be held twice in a particular admission cycle. The candidates will be tested on Psychometric, Verbal Ability, Quantitative Ability, General Awareness, Divergent-Convergent Reasoning and Descriptive Test. MICAT result will be announced online on the official website. Test takers can check their scores by using their login credentials. Post the result, selected candidates will be invited for GE/PI at various MICA campuses. Shortlisting of GE/PI candidates will be done on the basis of MICAT-1and /or 2 or better of the two scores if a candidate has taken both MICAT-1 and MICAT-2. 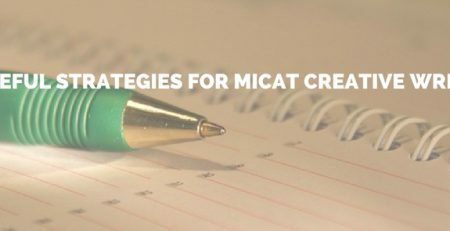 MICAT paper will consist of questions from Psychometric, Verbal Ability, Quantitative Ability, General Awareness, Divergent-Convergent Reasoning and Descriptive Test. The question paper is designed in a manner to assess a candidate’s analytical and verbal ability, logical reasoning, divergent thinking, written communication skills, creativity potential and general awareness about contemporary social and industry related issues, including areas like media, marketing, advertising and business. In the Psychometric test, the candidates will have to answer a few unconventional questions related to their personality and general environment. A set of 25-30 statements will be given, the candidates will have to select 10 statements which describe their personality. Creative writing test will contain essay writing on a given current topic, story writing from a set of pictures and a topic on which the candidates will have to write either in favour of or against and justify their stand. While, Verbal Ability, Quantitative Ability consist of topics same as other management exams, General Awareness section includes current trends and topics in media, marketing, advertising and business industries. Questions range from brand logos and taglines, to celebrity endorsements to mergers, acquisitions, awards etc. MICAT was conducted at 27 exam centers across India. Candidates can mark their preferences while filling in the application form. Based on scores in MICAT 2019, candidates will be called for Group Exercise (GE) and Personal Interview (PI). The GE allows the panel to assess a candidate’s personality, clarity in thought and ability to work in a team, while the PI helps understand a candidate’s knowledge, determination, maturity, and fit in the culture of MICA and the industries to which it caters. Like all exams coming up with surprises, MICAT has come up with a couple of surprises. The Psychometric Test was indeed a relief for most students who have been passionately working hard for the same, and if any student would have attended the MICA Psychometric Workshop would have totally been able to sail through it as it was completely on the same lines. Some students missed out here due to the technical issues and were unable to attempt all questions, but as I have always mentioned this is a qualifier and it is mandatory for attempting all questions. Students must ensure it is not missed out. This section had a little time consuming questions which did put some students under pressure for the last few questions. The Creative Writing Test was of the usual format with 4 pictures which tested on the skills to bring out the creativity within you to pass the gateway to their dream college, the Mecca of Marketing and Communications. The set of images were very interesting mix: a rabbit with a small gift box, earth with multiple location pins, a boat in river under green forest and a bunch of bicycle riders. Candidates will be called for MICAT irrespective of their scores, subject to their application form being complete and accepted by MICA. To apply for the exam, candidates need to fill-up the registration form and pay the test fees online. Candidates need to register and enter details for the online application form. Post that candidates have to pay the fees. After successful registration, aspirants will receieve an email containing the MICA ID and MICA password. This MICA ID will be used for all future correspondence. One can also use this MICA ID and MICA password to modify details online. The test fee is Rs 1965. Aspirants can choose to pay through Master or Visa Card online. Aspirants can also pay through a demand draft (DD) / multi city cheque/ at par cheque of Rs 1965 from any nationalised bank in favour of “MICA” payable at Ahmedabad. While registering for the exam, choose the mode of Payment as DD / multi city cheque / at par cheque in “Make Payment” Tab and click “Submit”. After clicking “Submit”, the Payment advice form will generate. The candidates who shall have registered for the exam successfully, will be able to download their respective admit cards by using their login credentials. Admit cards for MICAT I and MICAT II will be different, thus those candidates who will be appearing in both tests, must download separate admit cards for both. The candidates must check the information printed on the admit card thoroughly. In case of any discrepancy, they must immediately contact the MICA admission office to get it rectified and obtain a duplicate copy. The admit card is a mandatory document to be carried to the exam hall. Candidates not carrying it will be barred from the exam. The candidates are advised to carry a photo ID card as well. They must also keep the admit card safe till the end of admission process.